Six different ways to make your TV into Smart TV. Buying a Smart TV is an expensive proposition in general. Here are some of the gadgets that can help your work on television and to convert your old TV into Smart TV. Television technology has changed for some time. 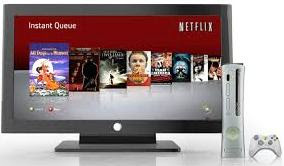 The introduction of smart TVs may have started some time ago, but only recently it has collected popularity. The problem with good smart TVs is that they are expensive and not everyone can afford them. But if you do not have a Smart TV then it does not mean that you need to buy a new one? Here are six different means through which you can transform your old television set into a smart TV set. As long as you have a fairly new TV with HDMI and perhaps some ports like a USB port then you are ready to make your own smart TV without spending much. Here's how to convert television into a smart tv set. The launch of Google Chromecast 2 streaming dongle is beautiful and promises a better quality of streaming. In addition, Google also reorganized the Chromecast application, and what we have seen is a lot better this time. You can use the new features of Chrome 2 with your old television. All you need is an HDMI port on the TV, and buy Google Chromecast 2 to enjoy smart tv like features on your old television set. Many people do not know about this powerful little HDMI dongle launched and developed in India. The Teewe 2 is a Streaming stick like the original Chromecast. The price of Teewe 2 on most online shopping sites is Rs. 2,399. The Teewe 2 is a bit more difficult to configure than the Chrome and Supported content is not great at this time. But if you just want to stream your own content from your phone or tablet to the TV, it is a good buy. It may also be the only option for Windows Phone users. A Mac user and if you have an Apple TV and want to stream locally stored media on your TV and Teewe 2 is a good choice. New FHD TV and Sony 4K TV runs on Google Android TV native OS, but your older television set does not have android TV os. So if you want to add android TV os in your old television set then you can buy the Nexus player, bringing the power of Android TV to your old TV. Nexus player for TV is just like a Chromecast 2, but with more power, features and content. Apple has this time renewed its commitment to the Apple TV with software adjustments and adding more power. While Apple TV will not offer any Indian content till now but if you have a large number of movies collection on your PC and you want to stream that on your TV then Apple TV is ideal for this. Both the Xbox One and PS4 are pretty good entertainment devices. Sure, the Xbox is the best when it comes to creating an entertainment center/Smart TV. The aim of the PS4 is highly pure scope of the Games. If PS4 and Xbox are out of your budget, you may consider then PS3 and Xbox 360. The PS3 doubles as a great Blu-ray and the Xbox 360 are ideal for the distribution of content on the TV via a LAN. This is for a real handyman. 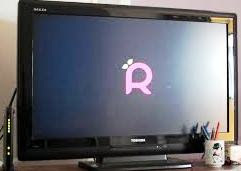 The Raspberry Pi can transform your old TV into a smart TV with the right software, a streaming media device can be adjusted. And connect it to the TV with an HDMI cable and voila! You have your own, affordable alternative Smart TV.